Recently, the Taliban massacred 141 civilians, the majority of them children, in the Pakistani city of Peshawar. Amid the grief, shock, and moral outrage, it is necessary to fully understand how it is that a Pakistani branch of an Afghan organization came to commit atrocities in a very new state. Pakistan has a complex recent history, and many nations have played a part in shaping it. While it is important to remember that the attack was the direct result of men who decided to pick up guns and murder innocent children for seeking an education, I believe that historical context provides an even deeper understanding which is important in directing and expressing our collective outcry. 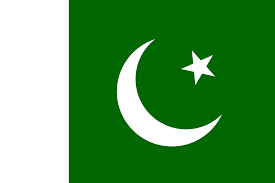 Pakistan was born from the Indian Independence Movement of the 1930s and 1940s, and became a state in 1947 when England implemented a Partition plan under the Viceroy of India, Lord Mountbatten. The central conflict for Indian Muslims at that time was the representation of the Muslim minority in what would be a newly independent state. Then, the Independence Movement was led by a diverse group of people representing a variety of ideas: Mahatma Gandhi, Jawaharlal Nehru, and Muhammad Ali Jinnah were among those. Jinnah was the leader of the Muslim League, and wanted Indian Muslims to have satisfactory representation or their own state. 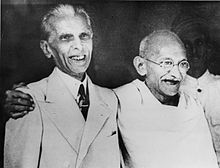 Because Hindu Nationalist organizations such as the RSS, which was responsible for Gandhi’s assassination, were often openly hostile to Indian Muslims, it is no surprise that Jinnah wanted a separate state to protect the Muslim minority. 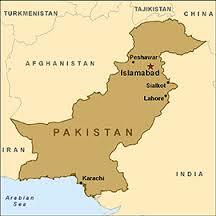 In 1947, Pakistan and India became two states; Pakistan, however, had two separate territories. It was divided into two sections, East and West, with India between them. The Partition of India was abrupt and dissatisfied both new governments. On August 15, 1947, millions of people woke up in a new country; many people found themselves in what they feared was the wrong country. This caused a massive migration and territorial dispute, resulting in the the relocation of 15 million people and the death of over one million. After Independence, Nehru and Jinnah led their new countries as Prime Minister and Governor-General respectively. Whereas Nehru was elected and reelected numerous times and led his country through political and economic turmoil, Jinnah died one year after the founding of Pakistan. He was unable to lead the country he helped create as Nehru was. Pakistan remained in the Commonwealth until 1956 when it became a Republic. Unfortunately, a coup put into place a military dictatorship; Ayub Khan ruled from 1958 to 1969, when he handed power to another general, Yahya Khan, who ruled until 1971. Before 1970, Pakistan and India had engaged in two wars, first in 1947 and then in 1965. Both involved the disputed territory of Kashmir, a princely state with a Muslim majority that nevertheless became part of India. The third Indo-Pakistani war involved East Pakistan’s independence and Pakistan’s first election. Yahya Khan allowed for an election in 1970, the first in Pakistan’s history, but when the East Pakistani Awami League won a majority, Khan sent West Pakistani military forces to quell the nationalist, pro-independence movements in East Pakistan. Civil War broke out, India entered the conflict, and the Pakistani military engaged in large-scale atrocities against Bangladeshi communities. During this Bangladesh Liberation War, approximately ten million refugees fled to India, and the Pakistani military massacred about three million civilians in what is now recognized as an act of genocide. East Pakistan became Bangladesh, an independent state. In addition, over 90,000 Pakistani soldiers became prisoners of war, and Khan ceded power to Zulfikar Bhutto in late 1971. Pakistan witnessed rapid-fire succession of Presidents and Prime Minsters as well as a series of military coups. For the most part, Pakistani leaders have had little time to make significant accomplishments; leaders have ranged from socialists to dictators who oversaw wars, land disputes, and a genocide. Jinnah’s plan for Pakistan was to create a Muslim State, but not an Islamic State in the traditional sense. Jinnah himself was a secular leader, and wanted a secular state which would nevertheless offer security for the interests of Muslims in the wake of Hindu Nationalists threatening to undermine their rights in India. For the most part, Pakistan has suffered conflicts between military rule and democratic representation: its first constitution was replaced by martial law under a military dictatorship in 1958; its second constitution was replaced by martial law under a military dictatorship in 1977. There have been three periods of military rule, four wars with India, and various domestic and foreign conflicts largely stemming from the botched 1947 Partition. It has nevertheless witnessed largely secular leadership. While the Taliban seized control of Afghanistan and instituted strict religious and political rule that oppressed women, Pakistan saw the election of its first woman prime minister, Benazir Bhutto, in 1993. 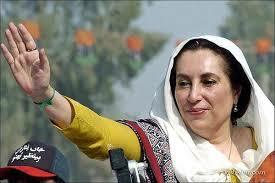 She had two nonconsecutive terms during the 1990s while the Taliban ruled in Afghanistan. The arrival of violent Islamist militants largely followed the U.S. invasion of Afghanistan in 2001. 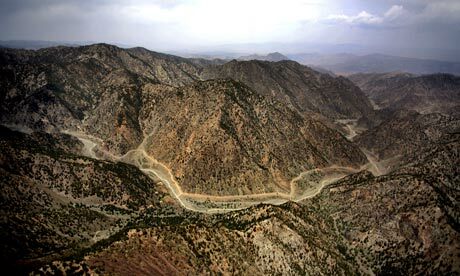 The mountainous, tenuous border between Afghanistan and Pakistan is often difficult to navigate, and provided a convenient hideout for Taliban militants fleeing Afghan, U.S., and NATO forces between 2001 and 2003. When President Bush decided to shift U.S. military attention to Iraq, Taliban militants had a moment to regroup, and have retained a solid foothold in Northeastern Afghanistan and Western Pakistan. Despite Pakistan’s support for the U.S. in its military endeavors, relations have been strenuous as drone strikes and military operations have caused damage to Pakistani civilians, infrastructure, and security. Islamist insurgents remain strong in Pakistan despite the country’s intellectual diversity, place in world politics, and relatively secular leadership. The Pakistani Taliban, then, is a very new organization in a very new country whose history is categorized by episodic military interruptions of political, economic, and cultural development. The problem is not that Pakistan is struggling to define itself as an Islamic Republic or a developing nation; the problem is international. India on one side, Afghanistan on the other, and the U.S. above, Pakistan is locked amid the puzzle pieces of international diplomacy, colonially defined nation-states, and disputed borders and territories. It is difficult to argue that Pakistan is at a crossroads because every moment in its history can be described as such. Instead, we should not let the Taliban’s violation of human rights define Pakistan; we should let the children attending school to learn math and language and geography and science and art and politics define Pakistan. This entry was posted in History and tagged Afghanistan, History, India, Islam, Jinnah, Nehru, Pakistan, Partition, Peshawar, Taliban, terrorism on December 20, 2014 by keeneshort. “Every moment in history is a crossroads…” What an insightful and accurate statement that is… So many of us don’t realize that we ARE the history of tomorrow, and sleepwalking through what we like to call our “busy” lives is an outright abdication of our responsibilities to future generations. A wonderful, wonderful post!